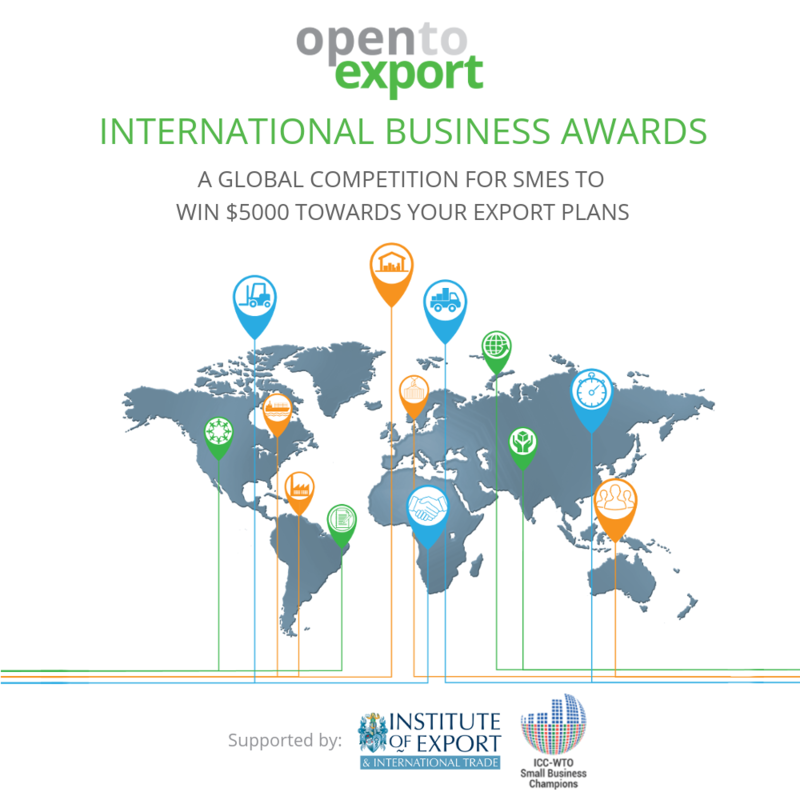 Due to global demand and interest, we have decided to extend the deadline for entering the Open to Export International Business Awards to 31 August 2018. This competition is a great opportunity for SMEs around the world to take their next steps in international trade and to potentially win US$5000 towards their plans. All you need to do is submit your completed ‘Export Action Plans’ to us before the end of the month. 10 finalists will then be invited to pitch their plans at the WTO Public Forum in Geneva this October. The lucky candidates will also be invited to showcase their products at an OTE exhibition stand throughout the Public Forum. Start your Export Action Plan today! Open to Export is a free information service provided by The Institute of Export & International Trade – the professional membership body supporting businesses involved in export and import. Open to Export offer a wealth of free resources and practical advice to help you to complete your plan, guiding you along our 5 step journey to export success with articles, webinars, and frequently asked questions. These steps are: ‘Getting started’, ‘Selecting a market’, ‘Reaching customers’, ‘Pricing and getting paid’, and ‘Delivery and documentation’. The Export Action Plan asks you questions along each of these 5 steps, giving you prompts and useful resources along the way, to allow you to create a coherent and comprehensive plan for taking your business global. Not sure what this is all about? Need help with your entry? Watch the recording of our webinar on how to apply or contact us with your queries. The World Trade Organisation (WTO) and the International Chamber of Commerce (ICC) are supporting the competition as part of the ‘WTO-ICC Small Business Champions’ initiative. The initiative provides a platform for companies and private sector organizations around the world to propose innovative, practical ideas designed to encourage MSMEs to do business across borders.